The Chex-Zit™ is a combination continuity and electrical current tester used for performing routine diagnostics on circuits and wiring (both high and low voltage applications). The Chex-Zit is made of aircraft grade aluminum and buffed to a durable satin finish. 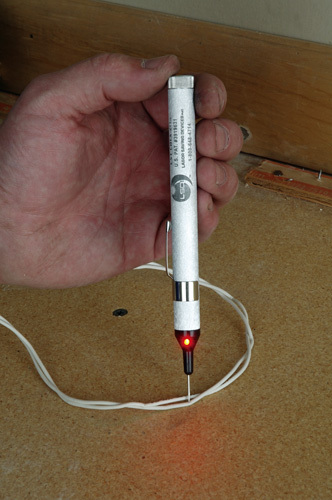 A bright red LED indicates when continuity (no open circuits) or voltage is detected. Use the Chex-Zit for checking Continuity in alarm or other circuits, verify good Earth grounds, transformers or other electrical wiring.